Get 3 questions answerd via private VOXER chat within 72 hours. After much demand, I've finally added a way to help you with all of your skincare & beauty questions. I haven't had much availability to work with new clients for the last few years, (plus not everyone can make it to Phoenix to see me). So, at the suggestion of a few brilliant clients I'm proud to announce that I'll be offering private mini skin care coaching via VOXER. Who's Breanna and why would you want her help? Learn more HERE. Have you been googling all. the. things when it comes to your skin concerns yet feeling even more confused or overwhelmed by the abundance of conflicting information? If you've ever wanted a friend who actually has allllll of the answers (legit, tried and true answers) when it comes to clearing your skin, reducing wrinkles, and just feeling better about yourself, you've found that friend in me! After working with hundreds (maybe thousands) of women over about 15 years i've seen & heard it all. I've worked in spas, doctors offices, med spas, and for the last 8 years i've run a holistic skin and beauty clinic focusing on solving the most stubborn skin concerns in an easy & healthful way. -Not sure if a product is right for you? I'll take a look at an cosmetic ingredient label & let you know if I think the ingredients are appropriate for you or not. -Wondering how to layer your products for the best results? I'll give you the run down of exactly how to apply what you're already using & make suggestions if I see a gap in your regimen. -Not sure if a particular lip/foundation/blush shade is right for you? Send a pic! I'd be thrilled to check it out & give honest feedback. -Curious if you need to include or avoid certain foods to help clear your skin, beat chronic dryness, or help you age as gracefully as possible? I'll share my top tips. -Want to know what my go to books & resources are for health, wellness, getting to the root of pesky health challenges that could be contributing to your skin concerns? I'll share my faves with you. -Ever thought it would be nice to find more peace amongst the chaos that life can sometimes bring? I'll share my secrets for getting more "zen". -Seeing some hormonal changes in your skin & completely freaking out? I'd be happy to ease your fears & point you in the right direction. -Are you a chronic skin picker & need an accountability coach to help you get thru stressful times as you learn to create new healthy habits? I'd be honored to be there for you! -Completely confused about where to start when it comes to battling breakouts, fading pigmentation, or slowing down the signs of aging? This is my specialty & I'd love to help you gain clarity & come up with a plan. -Starting to see lines & wrinkles but aren't sure what to do about them? What honest feedback about injections, lasers, peels, and at home treatments? I'd be happy to help! -Are you an aesthetician or makeup artist and a bit stumped by a client's skin, how to handle work related stress on the body, or want to bounce a career idea off a long time pro? "Community Over Competition", as they say! I've probably been in your shoes at some point & would love to help shed some light on your situation. Thru the remainder of 2018 I'll answer 3 of your top Skin & Beauty questions via the free Voxer app for JUST $69! For the last few years it's cost a minimum of $250 for an initial consultation with me & I'm so excited to offer a more affordable way to help anyone from anywhere in the world. Got Skin Q's? Order my A's today! Can't wait to chat with you soon! *3 specific questions will be answered within 24-72 hours of placing your order. **Prior to purchasing this Q&A session with me, download the free Voxer app here https://voxer.com/download/, & enter your username into the notes section when checking out here on my online store (So I'll be able to verify your purchase). After purchasing head back to Voxer & find me as "breannathomas" and send your questions. ***If there are any glitches or you do not hear back within 72 hours, email support@breannathomas.com to get help right away. ***** Keep your questions clean, appropriate, and kind. Rude or offensive questions will not be answered. ******This is for brief yet custom answers to your questions. This is not a full consultation. I'll do my best to answer your specific questions as thoroughly as helpfully as I am able. However, if you're concerns are incredibly in-depth I may direct you towards purchasing another 3 pack of Q&A's or applying for a full new client consultation. What my friends and I love so much about Breanna is how much she teaches us about our skin. No one has ever done that before. I feel like I learn something new every time and it’s always so interesting, I just love listening. I appreciate that she tells me what is going on with my skin and why she recommends certain products for me. I feel so much better knowing why rather that just being told what to do. Thank you so much for taking the time to honestly review my photos and give me some skin solutions that work within my budget. You recommended a creme which I’ve been using now for a few weeks and at first I didn’t think I could see any changes but then I stumbled across the pictures I originally sent you and WOW I didn’t realize the uneven dark spots that were lurking on my face! They have completely disappeared, my skin looks more even (I didn’t realize how uneven it was) and brighter. I’m excited to see more changes. Not only did I get the help that I wanted but I received much more. Breanna made me feel like a friend would, comfortable and at ease. She listened to everything that I had to say about my skin and my issues and took that time to really asses the situation and understand all of my wants. She gave me a brand new, truly customized regimen to use and from day one I have seen nothing but results! I’d say that Breanna has the magic touch!! I wouldn’t trust anyone else to care for my skin. She is a great listener and was able to take my concerns and turn them into an action plan for achieving smoother skin. I have had the pleasure of knowing Breanna Thomas for over 5 years. Breanna is a highly qualified aesthetician and has extensive experience with the latest procedures and technology. She conducts herself in a professional manner and has a warm and friendly disposition. She is very knowledgeable about skin care products and has offered me several suggestions to problems as they’ve arisen. We are miles apart and I have never met you in person but after perusing your Facebook page I feel like I know you. I love how you try all the products yourself and that you post the results online both good and BAD. That alone gave me the confidence to trust you with my face. You are a professional and expert in your field and I plan on recommending everyone I know to you. You were sensitive to my wants, informative about options and gave me great cost effective alternatives. I only wish I were closer so you could always do my eyebrows & eyelashes! I’m looking forward to coming to Arizona & having your work on my skin. Thanks for all your help! Very sweet and professional too! Breanna is very knowledgeable in her field. l feel very confident that she does everything possible to help me look my best. l’m happy to pass on the recommendations to others. I’ve been a client of Breanna’s for awhile now. I used to have horrible acne & a lot of sun damage. I’ve been to so many dermatologists & other aestheticians over the years but none of them ever came close to helping me as much as Breanna has. Not only is she incredibly nice & calming, she has more knowledge than all of these other so called skin experts combined. It is essential in my profession that I look my best at all times. I now feel comfortable & confident everyday. While I will occasionally still get a breakout (thanks to genetics & hormones) they go away much faster & I am so happy with my skin now. I will never trust anyone else with my skin. I highly recommend Breanna to anyone with skin! Breanna is an expert at her profession. She is extremely knowledgeable, thorough and personable. Her superior work speaks for itself! I highly recommend Breanna to anyone with skin! Whether you simply need routine maintenance or have a complex issue, Breanna takes the time required and makes you feel like you are her only client. She is very professional and detailed. Breanna always takes the time to listen to my concerns and gives the best advice and recommendations based on my current needs. Breanna is extremely honest, caring and is always up to speed on the latest products, trends and research. She is an expert in her field and so lovely. I highly recommend Breanna to anyone looking to have amazing skin! She really listens to what you want, how you want to look, and how you want to feel. Her friendly and caring manner immediately put me at ease and she was very easy to talk and work with. Breanna is absolutely amazing! She is educated and caring when it comes to her clients and what they need. I was very nervous when I first went to Breanna because I had NEVER had anybody work on my skin before. She was very gentle, listened to my concerns, and truly understood what I wanted. I will never trust anybody else with my skin and I love the fact that she truly is a genius in her field. There is nobody out there who cares more about what they do and for the people she works with. There is truly nobody else like her! Breanna is by far the most dedicated and knowledgeable aesthetician I have ever met. Breanna is also very helpful whenever I need advice on products. She offers her insight and advice without being pushy. Overall, she is a very kind and helpful person who takes great pride in her work and cares a lot about her clients. I would highly recommend her! Breanna is the best esthetician I have ever encountered and I see her as my personal skin consultant. The first time I met with her we went over all the products I was using (no one had ever done this with me) and I had no idea that I was using many products to produce the same effect. I was able to eliminate many products from my normal regime and simplify my daily routine. My goal has always been to have great skin without makeup. I can now say that I get compliments on my skin when I am not wearing makeup! I never thought this was possible. Thank you Breanna! We both love our time with Breanna! 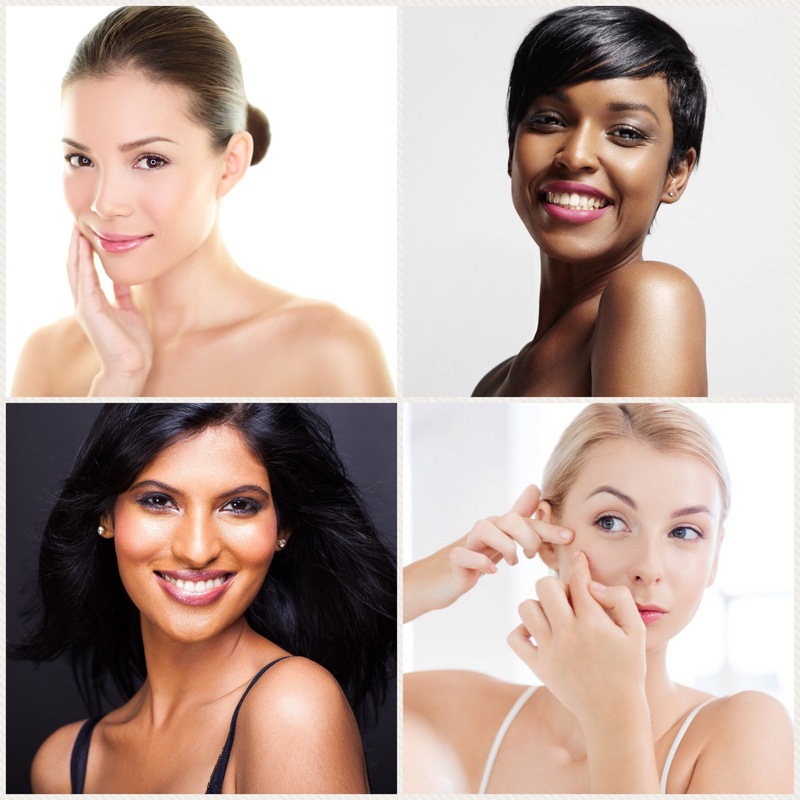 She is very knowledgeable and has given me great advice, and as a result my skin glows. I also love her products! I was so happy that when I started noticing blackheads on my 10 year old daughter’s nose, I asked her advice. Her recommendations worked wonders. Not only has it cleared her skin, she has counseled my daughter on good skin care techniques that are so important as she approaches puberty, and she follows the advice much more than she does when Mom says it. We both love our time with Breanna! In addition to her gentle approach, her knowledge and expertise in a variety of areas such as health, fitness, and nutrition, make my sessions with her wonderful! Breanna is very professional and detailed. I was delighted to find Breanna’s approach to skin care reflected total professionalism and product knowledge along with a superior level of personal caring. Skin perfection is a dream right??? The ability to confidently show your gorgeous skin with diminished acne, age spots, sun spots, and wrinkles. It sounds too good to be true… But it isn’t with BREANNA. Breanna treats skin as an art… She is a perfectionist and has an eye for detail, which is rare in aesthetics today. Furthermore, her product and nutrition knowledge base is superior, which is beneficial to achieving lasting quality results. Best is… She will help you put your BEST face forward everyday and transform your life! Breanna is by far the finest aesthetician that I have ever worked with. She is an expert in her field, and personally knows the effects of a variety of treatments. She is honest, caring, thoroughly knowledgeable, and an all-around joy. She genuinely wants to help and make a difference and her extensive knowledge is undeniable! Breanna is one of the kindest and most caring people I know. She always makes you feel beautiful and I love that she spends time talking with me to check in and see what needs to be done to move forward with my skin care goals. Breanna teaches me so much about keeping my skin and body healthy. I asking her advice about nutrition, skin, and my body. I could not do without her. Breanna is one of the most knowledgable, thorough and thoughtful people I have ever had services provided by. She researches everything and goes above and beyond to make a personalized experience for me and my skin journey. She thinks holistically and is an incredible listener. She is relevant and up to date with new research and is always trying new things. I love Breanna's knowledge and passion for her work. She is such a lovely person, but really cares for my skin care needs and is always keeping up with the newest technology. She understands my skin inside and out and has helped me understand it too. 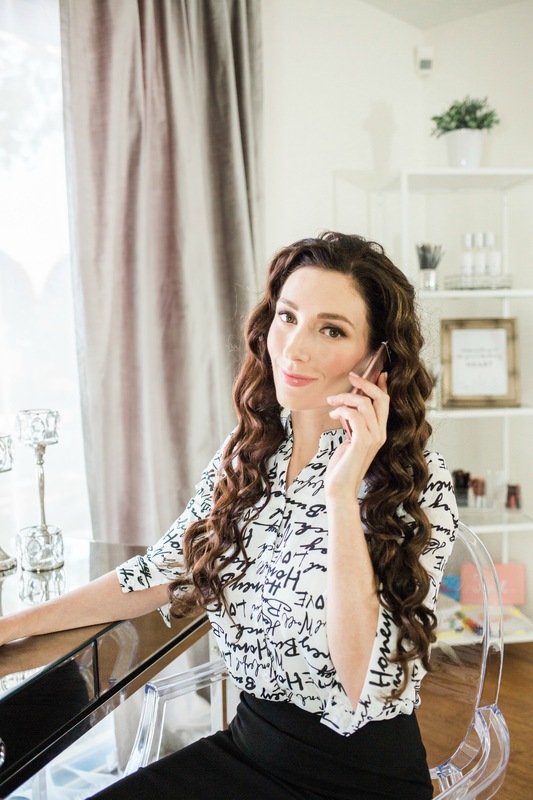 Breanna not only wants to help you with your skin, but she truly cares about people. She is so knowledgable and her products are amazing! She answers all my questions with expert advice and a gentleness that doesn't make me feel silly for asking. Breanna is like a fairy godmother to my skin! Breanna is like a fairy godmother to my skin! She is so pleasant and comforting right out of the gate. She listens, she cares and she wants what’s best for you specifically. She’s incredibly knowledgeable and discusses your options and what solutions may work best for you without making you feel like you’re required to sign your face over to her. Wow! Super helpful service. Breanna answered all my questions via voice text, in length. Thank you ♥️♥️♥️ you are the skin genius! !